Never heard of the Raging Grannies? If you happened to go to the Arcata Post Office today you probably ran into a group of them holding a peaceful protest on the corner of 8th & H Street. The real story here, however, is that the Raging Grannies are awesome! First off, just look at this photo. Ok, yes, that was excellent, right? Now check out some of their official photo galleries. And wait, there's more! 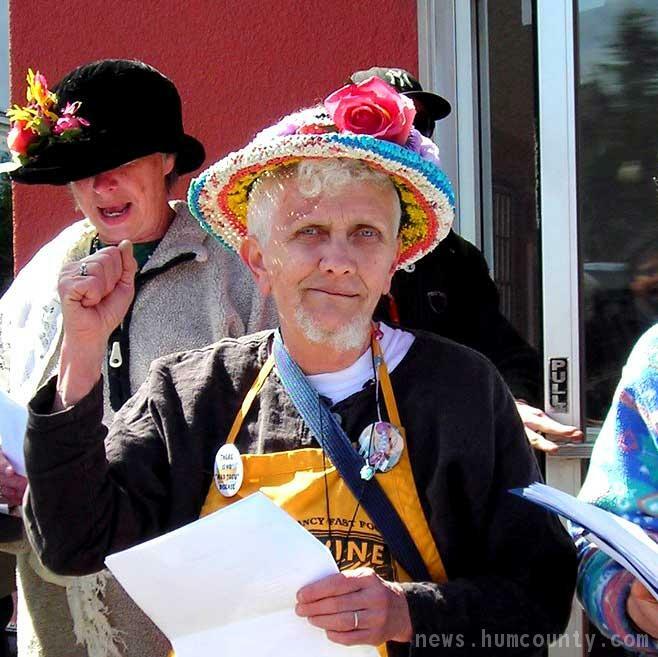 The official Raging Grannies website is also awesome, and it's even hosted at Geocities! We'll be looking out for these activists in the future, and hopefully we'll have our camera so we can further document these eccentric grannies. wow does that granny have a goatee? that's kind of... odd. yummy arcata! I live in Arcata, and I have seen this lady around. And trust me, it's definitely a woman. There are lots of gnarly activist/hippy types here in Arcata.